A decision by the Bankruptcy Court for the District of New Hampshire is the latest of a handful of cases in the past few years to weigh in on a circuit split as to whether a licensor of trademark rights can fully terminate a licensing agreement as a debtor in bankruptcy. While courts have trended toward expanding protection for licensees in the recent past, the court in In re Tempnology, LLC retreated by applying a strict interpretation of Section 365(n) of the Bankruptcy Code and the Fourth Circuit’s 1985 decision in Lubrizol Enterprises, Inc. v. Richmond Metal Finishers, Inc., 756 F.2d 1043 (4th Cir. 1985), to hold that a debtor’s rejection of a licensing agreement terminates the licensee’s rights to continue using a trademark. The court’s decision, however, appears to be driven by the nature of the agreement at issue as more a distribution agreement than an intellectual property license. Some background information on the laws at play might be helpful. Congress adopted Section 365(n) in 1988 as a response to Lubrizol, which held that when a debtor-licensor in bankruptcy rejects an intellectual property licensing agreement, the licensee loses the right to continue using the licensed IP. Section 365(n) provides for licensees to retain their rights, including exclusivity rights, and to continue using IP and paying royalties for the duration of the licensing agreement. Unfortunately for trademark licensees, the Bankruptcy Code defines “Intellectual Property” in a manner that includes patents, copyrights, and trade secrets, but not trademarks. During the early existence of Section 365(n), courts read the omission of trademarks from the definition of Intellectual Property as creating a “negative inference” that Congress intended the holding in Lubrizol to continue to govern trademark licensing agreements. As a result, debtors or trustees in the exercise of their power to reject burdensome contracts could reject (and terminate) a trademark license agreement. This left the non-debtor licensee with only a claim in the bankruptcy case and no further rights to use the trademark in question. This outcome is in stark contrast to the protections afforded to non-debtor licensees of patents and copyrights, who under Section 365(n) are entitled to continue to use the licensed patents and copyrights if they so choose. In 2010, the Third Circuit shifted the tide when it held in In re Exide Technologies, 607 F.3d 957 (3d Cir. 2010), that a trademark licensing agreement was not subject to rejection because it was not executory. In a concurring opinion, Judge Thomas Ambro rebuked the “negative inference” and reasoned that Section 365 frees the bankruptcy estate of obligations but has no bearing on the continued existence of trademark licensing agreements. In 2012, the Seventh Circuit adopted Judge Ambro’s rationale in Sunbeam Products v. Chicago American Manufacturing, 686 F.3d 372 (7th Cir. ), cert. denied, 133 S. Ct. 790 (2012). In 2014, the Bankruptcy Court for the District of New Jersey relied on Judge Ambro’s concurrence and Sunbeam in a decision in In re Crumbs Bake Shop, Inc., 522 B.R.766 (Bankr. D.N.J. 2014). Also in 2014, the Eighth Circuit in Lewis Brothers Bakeries, Inc. v. Interstate Brands Corp., 2014 WL 2535294 (8th Cir. June 6, 2014), adhered to the Exide holding that a licensing agreement must be executory to be subject to rejection. The clear and heavy consequence of judicial applications of the “negative inference” is that licensees must cease producing and selling goods bearing licensed marks, often on just a few weeks’ notice. The decisions in Exide, Sunbeam, and Crumbs permitted licensees to continue manufacturing and selling such products as industrial batteries, box fans, and baked goods. Notably, in those cases, the licensees produced and sold products marketed using the debtor-licensors’ trademarks. 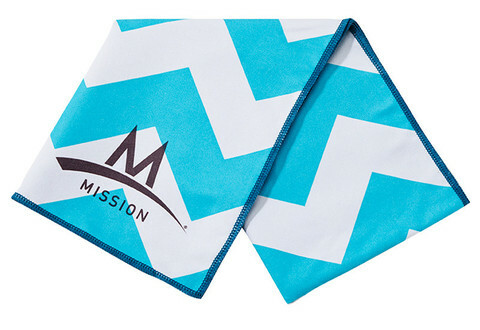 In Tempnology, the debtor-licensor manufactures chemical-free cooling fabrics marketed under the brand “Coolcore.” Mission Products Holdings, Inc. distributed Coolcore products in an exclusive territory pursuant to a co-marketing and distribution agreement. Under the same agreement, Mission held a non-exclusive license to use the Coolcore trademark and logo. Mission sought to preserve its rights to distribute products and use the trademark under Section 365(n) after the debtor moved to reject their agreement. Mission construed its trademark license as exclusive, with it being part and parcel of the distribution agreement. It is not difficult to infer Mission’s intent: to salvage the exclusive right to distribute Coolcore accessories by coupling the distribution and intellectual property rights in its agreement with Tempnology to invoke Section 365(n). Appropriately, the lion’s share of the opinion addresses the state of Mission’s exclusive distribution rights, while the court’s discussion of Mission’s trademark rights is relatively perfunctory. The bankruptcy court viewed the Tempnology-Mission agreement as centered on marketing and distribution. The court interpreted the non-exclusive trademark license as part of the consideration Tempnology provided Mission for its marketing efforts. The court went on to apply the “negative inference,” finding its line of reasoning more persuasive than the more expansive reading of Section 365(n). The result was that Mission could not retain rights to use Tempnology’s trademarks and logos or its exclusive distribution rights. The way Mission framed the issues and the way the bankruptcy court addressed them in Tempnology is instructive, especially when compared with cases where trademark licensees have prevailed. The court quickly distilled the essence of the agreement as one for distribution of a fully fabricated product and dismissed Mission’s argument that it could retain rights that were not truly intellectual property rights. In contrast, in cases like Exide, Sunbeam, and Crumbs, courts considered the necessity of trademark rights to other contract rights such as the use of the debtor’s patents, to continue manufacturing and selling goods pursuant to an asset purchase agreement with the debtor, and to continue to produce goods using trade secrets developed and imposed by the debtor. Bankruptcy and other courts may be more likely to extend the protections of Section 365(n) where a licensee’s independent business depends upon licensed trademark rights. A drafting lesson to be learned from Tempnology is to ensure intellectual property licensing agreements are separate and distinct from agreements relating to matters for which intellectual property rights are nonessential, like distribution. Other means of protection licensees can employ to safeguard their licensing rights include taking a security interest in the trademark or bundling trademark rights with other intellectual property rights in an integrated agreement that will fall within the purview of Section 365(n). The Tempnology decision is now pending on appeal before the Appellate Bankruptcy Panel for the First Circuit. It remains to be seen whether the case ends up before the First Circuit Court of Appeals, whether the Supreme Court will eventually resolve the circuit split on courts’ interpretations of Section 365(n), or if Congress will revise Section 365(n) to address trademarks explicitly. Steven Heim is a partner and Alessandra Glorioso is an associate in Dorsey’s Bankruptcy & Financial Restructuring practice group. A partner in the finance and restructuring group, Steve advises large financial institutions and other clients in an eclectic mix of matters including: Indenture Trustees regarding the initial documentation of transactions as well as providing advice when amendments, discretionary actions or the exercise of default remedies is requested or becomes necessary. Creditors and Debtors in their options and the exercise of their rights in business restructuring and bankruptcy matters. Financial Institutions in payment card transactions, including merchant processing transactions, co-brand arrangements and portfolio purchases.